Is having a lot more chance to proc corrosive on armored targets rly worth loosing your main dmg type (assuming its over -100%)? Not only youre loosing 75% of the dmg in case of sobek but also theres a matter of overstripping. So is there some hidden math that i dont know proving that its better to sacrifice even the majority of your dmg for consistent corrosive procs? 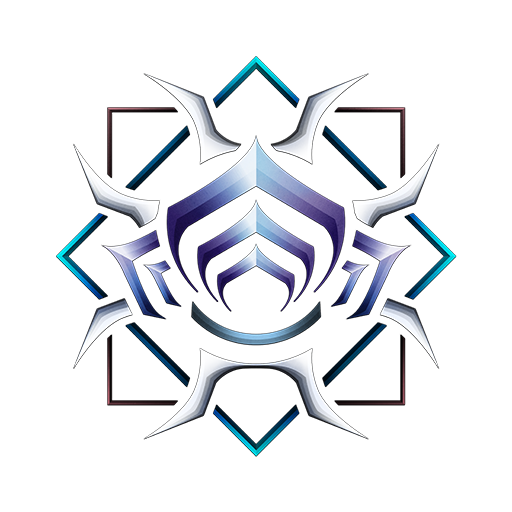 What are the stats of your Riven? The -Impact won't make it amazing in of itself. You can mod for something like Gas and hit quite hard with a Riven like DMG MS SC -Imp or DMG MS CD -Imp. I understand Snipetron Vandal is a Sniper Rifle and not a shotgun, but the negative IPS interaction can be shown. 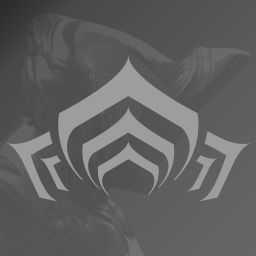 Negative IPS is never 100% better than another negative on a Riven Mod. However, with even a small amount of status chance, you can manipulate your elemental choice. Corrosive may overstrip, but Gas, Viral + Slash, and more can be interesting on many weapons. 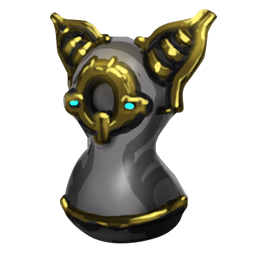 For shotgun weapons, Sobek (-Imp), Strun Wraith (-Imp), Pyrana (-Slash), Kohm (-Slash), Astilla (-Imp), etc can be quite powerful. The damage loss from removing the main IPS is minimal compared to your overall damage. Overstripping with corrosive is a possibility, but for the most part the loss of impact as a raw damage type won't make a huge difference. 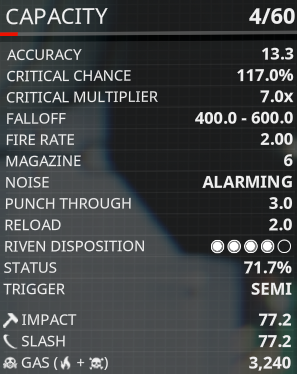 Though TBH, what really makes a difference for rivens for shotguns that can reach 100%, is enough status chance to free up (at least one) slot from what would usually be a status/ele mod, which allows you to dedicate some mods slots to more damage or crit stats. If you pair THAT with a -impact neg, then you've really got something that will kill before ever having the chance to overstrip. 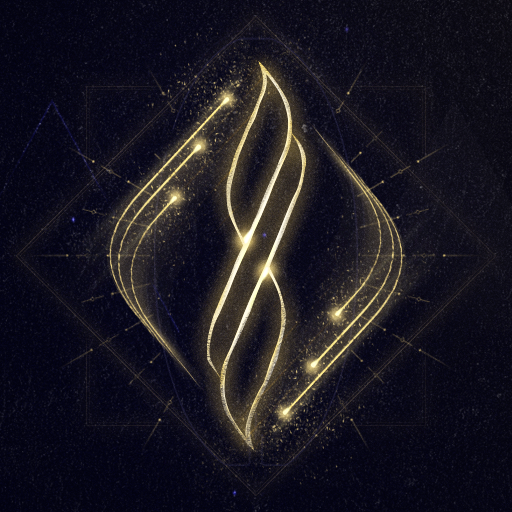 Physical status types have higher chance to trigger than elemental status types. You would intuitively expect that a weapon which is 100 impact and 200 corrosive damage, to trigger corrosion twice as often as impact....But that is not the case. Removing physical damage types, especially impact and puncture which do not stack and are kind of bad, can make your elemental status output MUCH better. Though status based shotguns are really only a thing if you can get to 100% status. Strun Wraith, for example, can delete all armor off high leveled enemies in one or two shots. 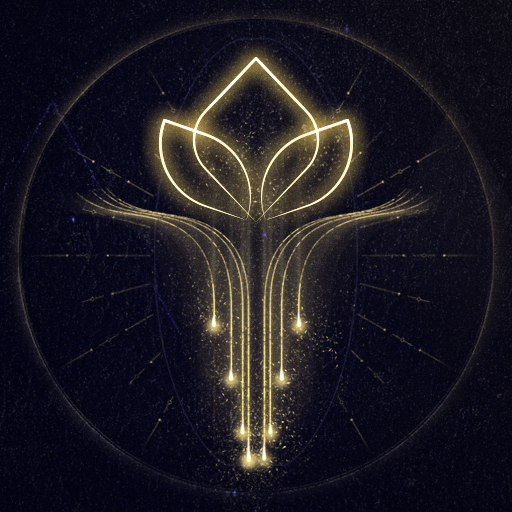 It should also be pointed out that you are not really sacrificing the majority of your damage with these mods, because the majority of your damage is most likely from elemental mods. Much like the amount of damage they add is not increased by any of the +IPS mods, it's also not reduced by any -IPS penalties. It could still be a noticable chunk of your damage, but certainly nowhere near half. Especially if you do go for the mass gas proc route and include both toxin mods or something. Physical status types have higher chance to trigger than elemental status types. Impact is completely cheeks. Aside from the fact that I hate rivens, you could have much worse rolls. My Riven-based -impact Sobek does 29K elemental damage with high status. 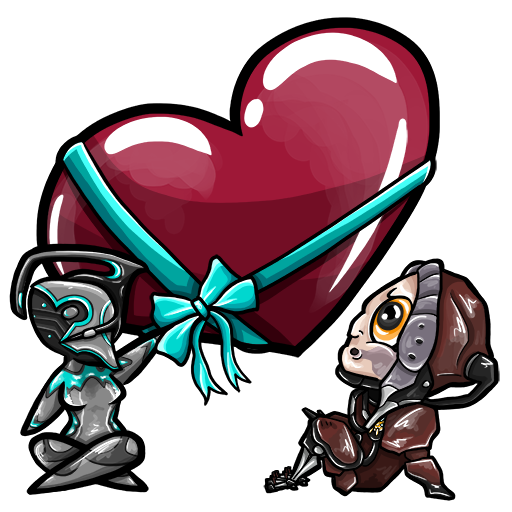 I might try to push damage even higher and go with radiation for Grineer and even Terry Hunting with Volt Shield buff for kicks. I had a -impact sobek with damage and reload speed. It was fun to spam with shotgun spaz but kinda weak. I know it looks crappy, but I wish I never rerolled off of my damage CC -CD riven. I was able to get CD back up to 3.2 and it was stronger than my damage SC with -infested. However, I got a -impact Kogake and Dehtat that absolutely destroy. Guess it depends on the weapon. Depends on the gun. On the sobek, if the riven is excellent (stuff like +dmg +multi +toxin etc) it can be good even with neg impact. 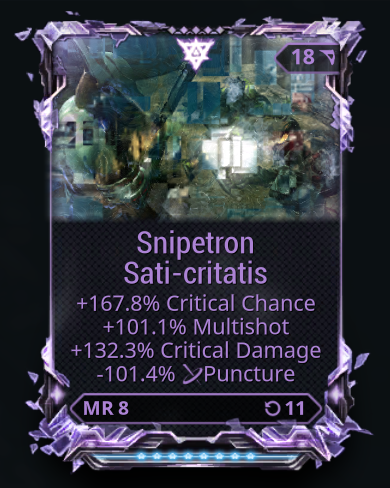 I have a huge +dmg +crit chance latron riven with almost -90% puncture and it still bumps up my damage hugely and makes my latron competitive with a sniper as far as damage per shot goes (before combo).